Happy Spring! 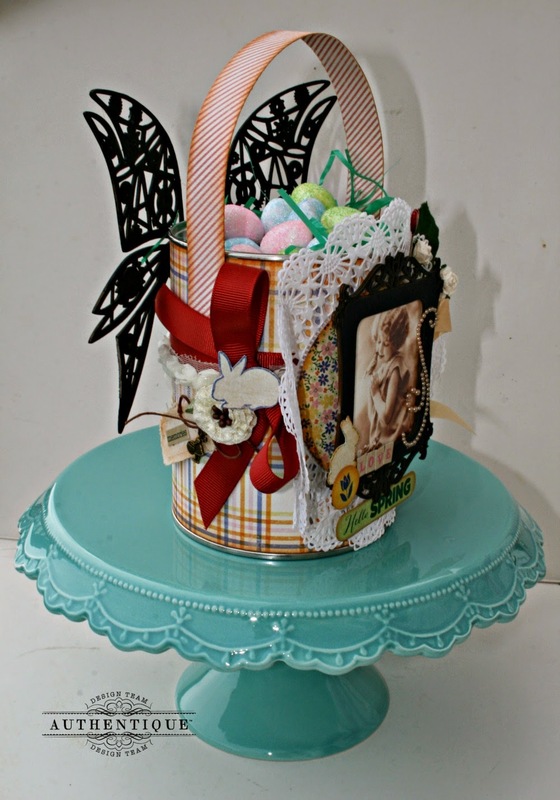 I'm excited to share my Homespun Easter Basket created with the lovely "Treasure" collection. 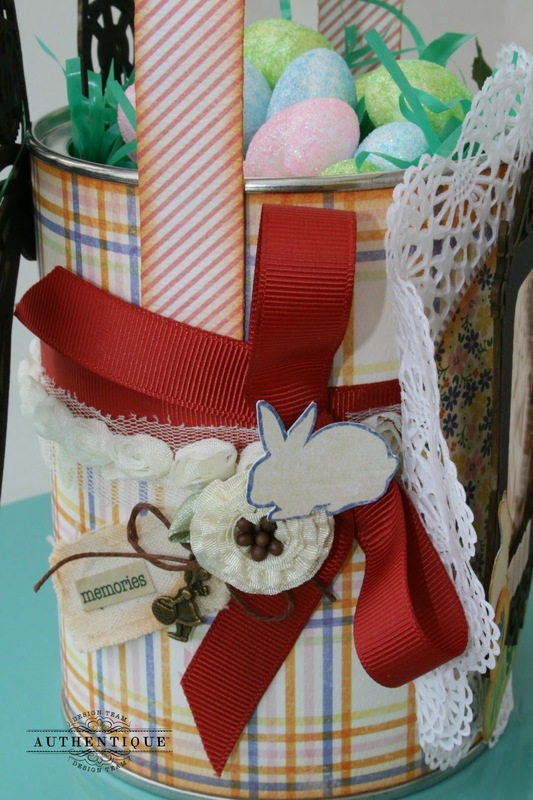 I started with a hot chocolate canister that I covered with patterned paper. I then added a paper handle. Next, I wrapped ribbon around the container. 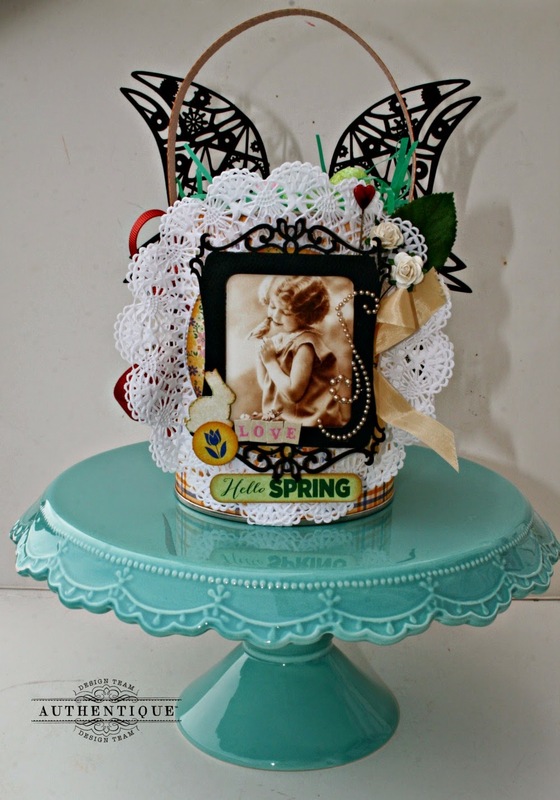 I added a paper doily to the front and began to decorate. 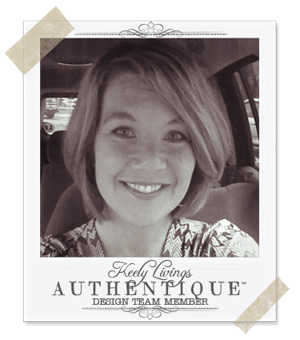 I cut and inked a patterned paper circle to fill the inside of the doily. 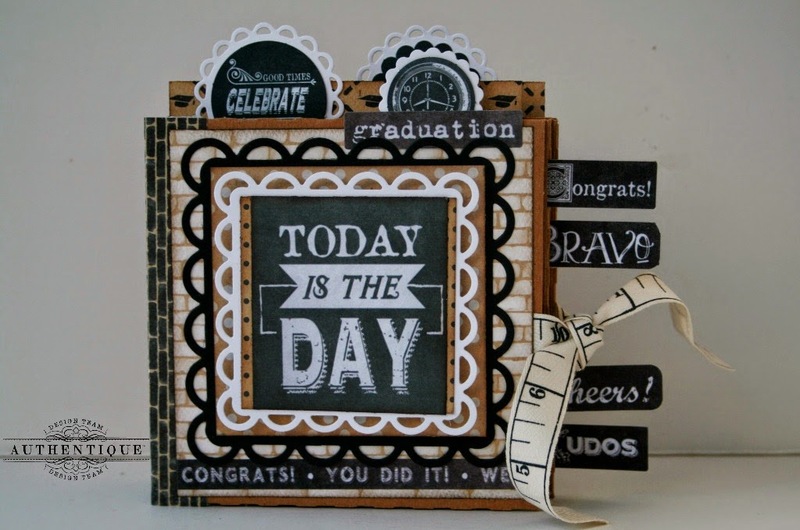 I added a chipboard decorative frame and embellished with "Treasure" diecuts and stickers. 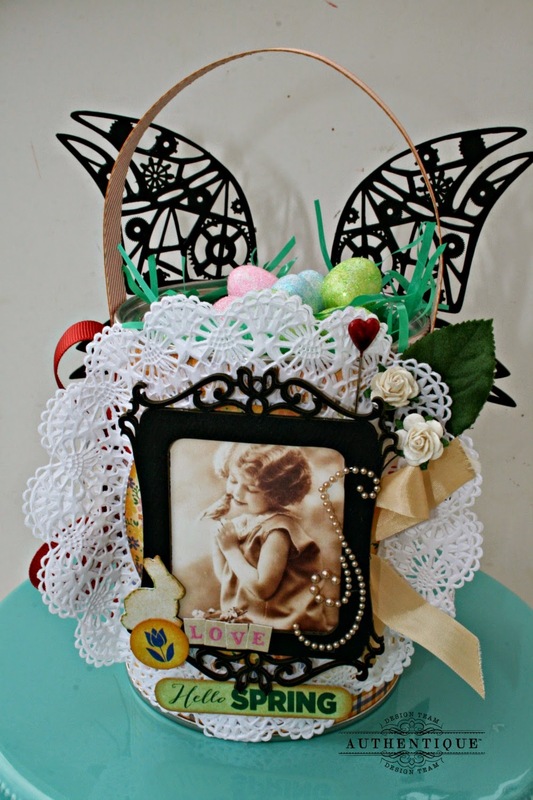 I embellished the bow with a cute little bunny cut from patterned paper and fabric tag with a word sticker. 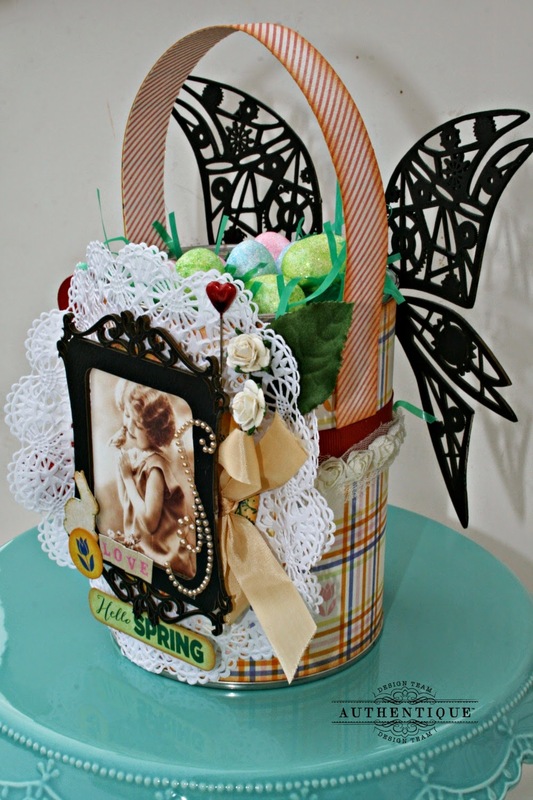 To complete the project, I adhered chipboard wings to the back of the basket, filled with grass, and mini eggs. Love the plaid with pops of color! 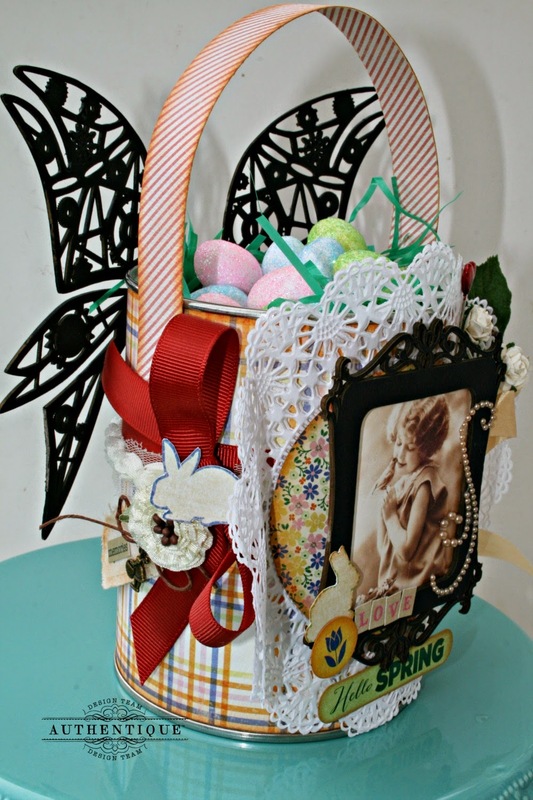 So creative of you to make this multilayered basket! So precious!